Many SLPowers clients came to us too late. They called us after suffering a massive data loss, or excessive downtime in the wake of an unexpected outage. Some of them had been conscientious about making sure their backups happened, but had never tried recovering their most critical data. Others had relied on outdated tape backup systems. More than a few had outsourced their backup and recovery solution to the wrong partner, and only found that out when it was too late. That was before they became Guaranteed Networks®–Restore customers. What causes an IT disaster? Hurricanes, tornadoes, earthquakes, fires and floods account for only three percent of IT disasters. Software issues -- poorly conceived patches and updates, custom coding that inadvertently leads to mayhem -- represent another four percent. Viruses, malware, and other malicious activity that successfully penetrate your network's defenses make up only 19 percent of IT nightmares. Hardware failure still accounts for 25 percent of disasters. That's roughly half of what it was a few years ago, but drive failures, overheated components, and the like continue to happen. Users are now responsible for a whopping 49 percent of significant IT outages, most of them because of social engineering. Clicking on that email link or browsing that funky website have real-world consequences. Regardless of the cause, IT disasters can bring your business to a halt. Fortunately, there are ways to bounce back quickly. - Focus on recovery, not just your backups. Studies show 20 percent of recovery attempts fail. Don’t allow yourself to fall into this category. SLPowers tests the restoral of every client’s backup every month. - Segregate your data. Not all data have the same value. Isolating your static data can save you time and money. Prioritizing your business-critical data can help you get back on your feet faster. SLPowers specializes in guiding you through the analysis of how to create the different tiers that reduce both your cost and your recovery times. - Determine what you are willing to risk. This has two dimensions: How much potential data loss can your business tolerate, and how much potential downtime can your business actually handle? 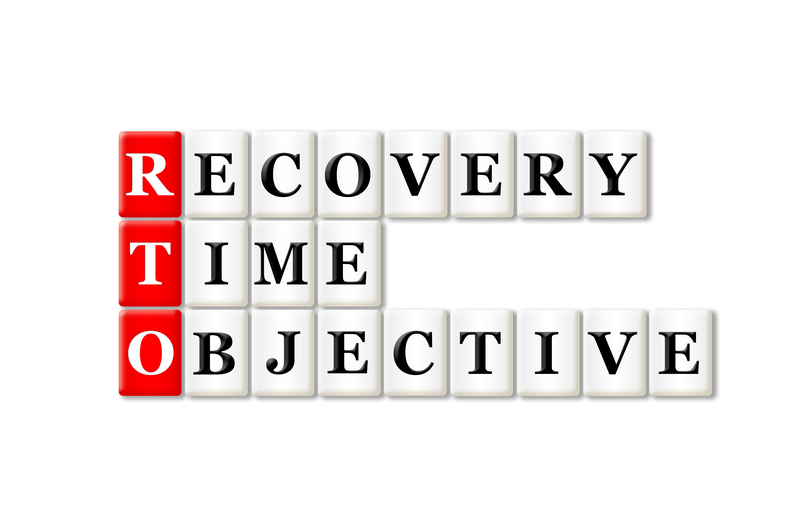 These two considerations, Recovery Point Objective (RPO) and Recovery Time Objective (RTO) should be central to DR planning. Knowing the answers will guide you toward the optimal Guaranteed Networks®–Restore recovery strategy. - Take it far away. Don’t trick yourself into believing an onsite repository for your backup is good enough. You need a solution that automatically moves your critical data hundreds, if not thousands, of miles away. Guaranteed Networks®–Restore moves client data to two separate remote and secure facilities. - Utilize improved backup technologies. Innovations in data protection have made a significant impact on the likelihood that any given recovery job will go off without a hitch. The deduplication engine that drives SLPowers’ Guaranteed Networks®–Restore can reduce the size of your data store by upwards of 90%. Guaranteed Networks®–Restore . . . Backs up not only your data, but also your profiles, operating systems, your entire network environment. Backs up your data locally every 15 minutes with virtually zero impact on network overhead or performance. Enables you to recover a downed server in minutes by spinning up a virtual environment. Empowers you to quickly and easily mitigate ransomware and other malicious attacks. Automatically generates and transmits cloud-based backups every night. Test the recovery of your data every month. Encrypts backup data, at rest or in motion. As with other solutions in the Guaranteed Networks® family, our flexible architecture allows us to create a custom solution that will meet your company's needs and budget. Contact SLPowers today, and give your data the protection it deserves.